The Henley Dual Function Exposed Shower System is ideal for wanting to add a period and luxurious look and feel to the bathroom. 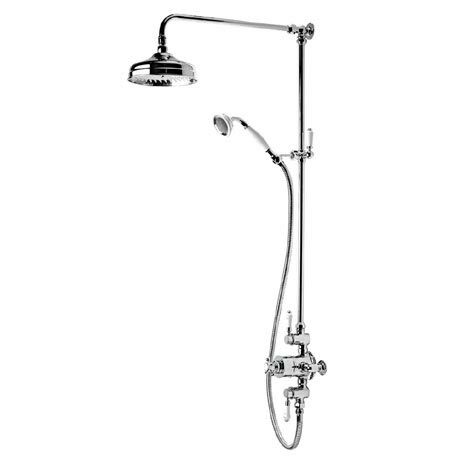 Featuring a dual function exposed thermostatic sequential shower valve, 200mm solid brass shower head, single function brass shower handset & shower handset holder and a height adjustable rigid riser rail with separate flow control to shower head and handset. Roper Rhodes back this classic shower system with a 10 year guarantee.